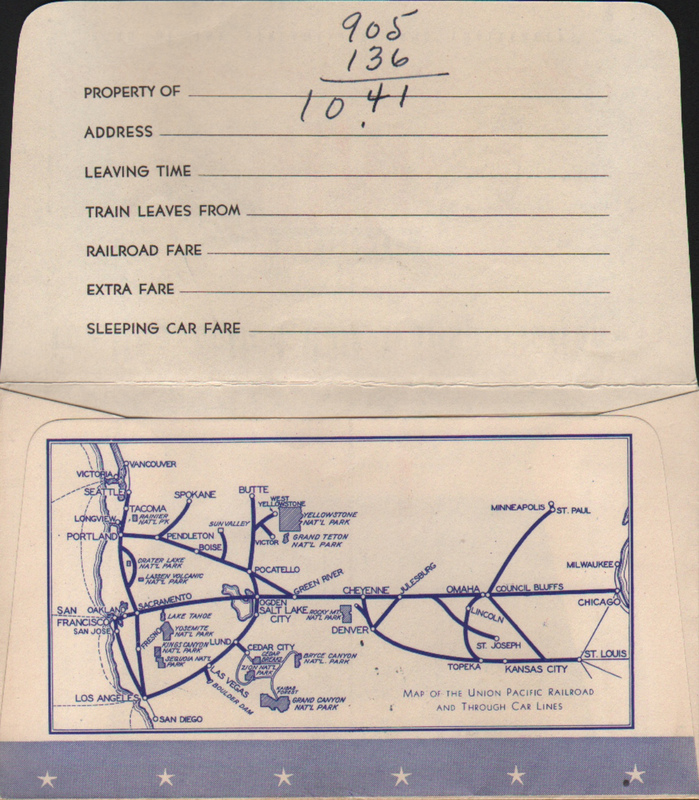 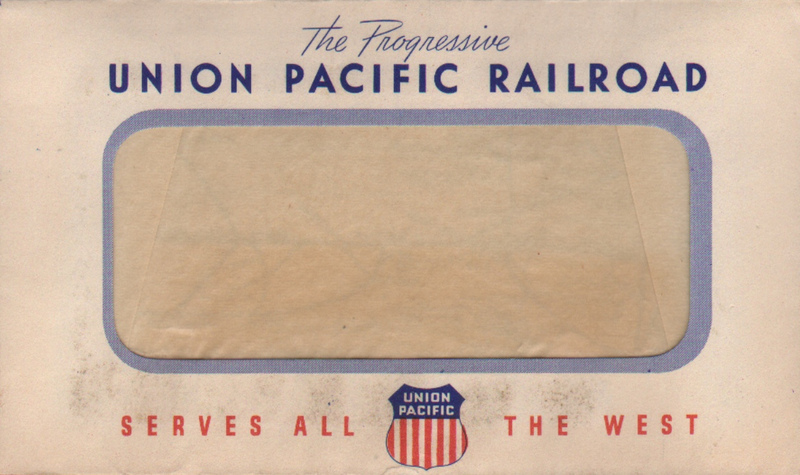 Description Union Pacific (UP) Railroad train ticket envelope - For Unexcelled Rail Transportation - Be Specific - say Union Pacific. 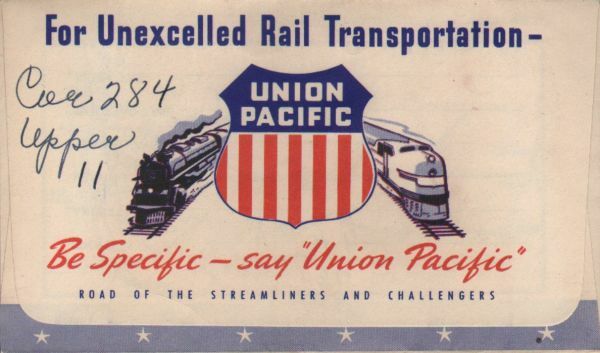 Road of the Streamliners and Challengers. Not dated, but purchased with ticket from 1946 inside.